June is Scoliosis Awareness Month. If you don’t quite know what Scoliosis is, you likely have heard the word at some point during your middle school career. Most of us endured the somewhat uncomfortable spine check as our self-conscious 11-year-old self tried to hold back the giggles. At the time, you likely weren’t explained why this test was necessary and were simply given the short speech that it was: “to make sure your back was straight.” But, scoliosis is much more complicated than that and these in-school checks are an important screening process to catch scoliosis in its early stages. Scoliosis is a condition which causes a sideways curvature of the spine. While scoliosis can share a comorbidity with cerebral palsy or muscular dystrophy, it can exist on its own. The cause of scoliosis is unknown. The most common type of Scoliosis occurs in children and is more prevalent in girls after the age of 10. Growth spurts occurring just before puberty are often when the curvature presents itself. Scoliosis can be classified into two groups: structural and non-structural. Non-structural scoliosis is related to a spine that in its structure is normal, but a slight, temporary curvature appears, likely due to differences in leg length, muscle spasms, or even appendicitis. These causes are directly treated and the curvature can resolve. Structural scoliosis is often related to a structural abnormality due to injury, a neuromuscular disease, infections or tumors. This type of scoliosis is treated on a case-by-case basis, but can include surgical intervention, bracing or observation. Scoliosis is diagnosed by a medical professional and is often first noted by an in-school screening or regular physician visits. A more in-depth evaluation will be needed to conclusively diagnose the scoliosis. This will include: 1) Medical History: Scoliosis can often be found in multiple family members, so, if a parent or sibling has the condition, it is important to tell the doctor. Also, birth defects, injury or other conditions should be noted. 2) Physical Examination: The doctor will look for a spinal curvature, uneven hips, uneven shoulders, asymmetric waist line or a shoulder blade protruding. 3) X-ray: Finally, an x-ray of the spine will be needed to confirm the curvature and the degree of the curve. Once the diagnosis is made, the doctor will create a treatment path which will include routine observation and examination. Again, a back brace or surgery may be needed to correct the issue. If the issue is not corrected, the spine can continue to curve as the child grows. If it does, it may worsen to the point that the rib cage is restricted. This can impact the function of the lungs and the heart, making it harder to breathe. It can also cause chronic back pain. Finally, as the conditions worsens, one’s appearance will change. This can often lead to feelings of low self-image, depression and other psychological impacts. 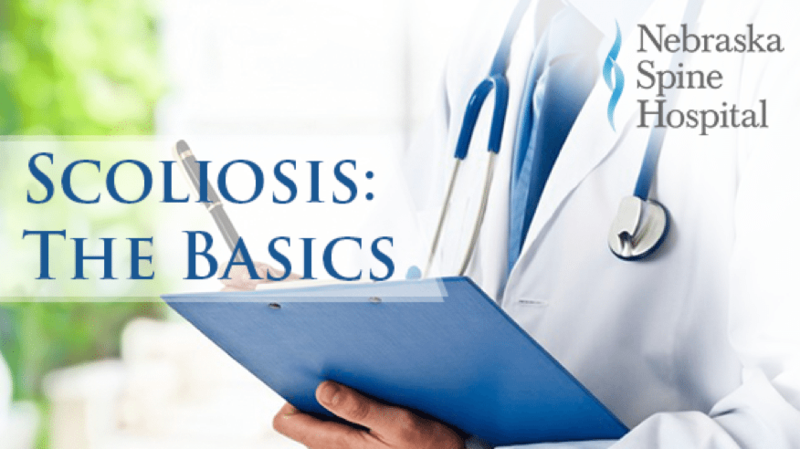 If you have a family history of scoliosis, or notice that your child displays any of the symptoms of scoliosis, you should consider having them evaluated to get a proper diagnosis and treatment course. Please contact us if you have questions about scoliosis, its diagnosis and/or treatment.